News Americas, NEW YORK, NY, Fri. July 6, 2018: Of course, by now, almost everyone knows there are no Caribbean teams at the World Cup, much less in the quarter-finals. But did you know there are two Caribbean-born player and several of Caribbean heritage who will represent teams who have made it all the way to the ‘quarters’ this weekend? So who are they? Here they are, starting with the men born in the Caribbean. 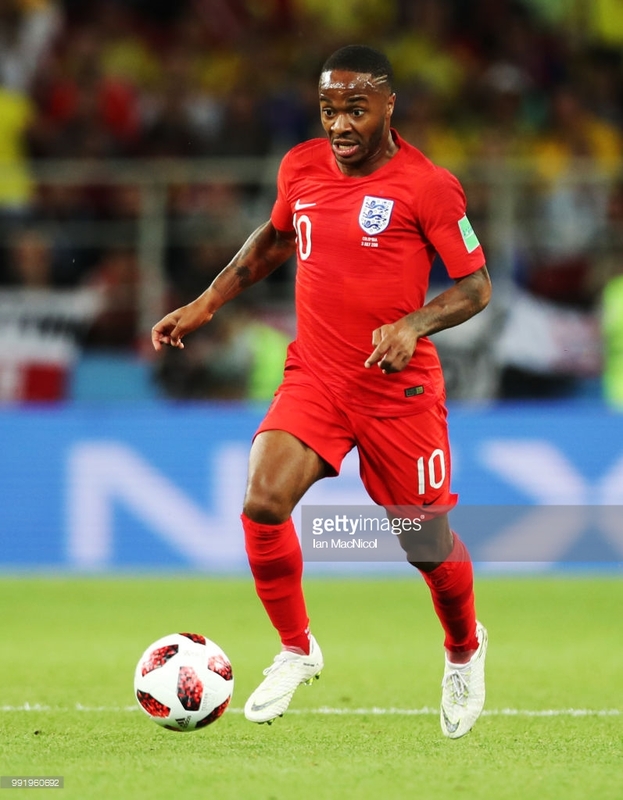 Raheem Shaquille Sterling, who is part of Team England facing Sweden this Saturday, July 7th for a spot in the semi-finals, was born in Maverley, Kingston, Jamaica. 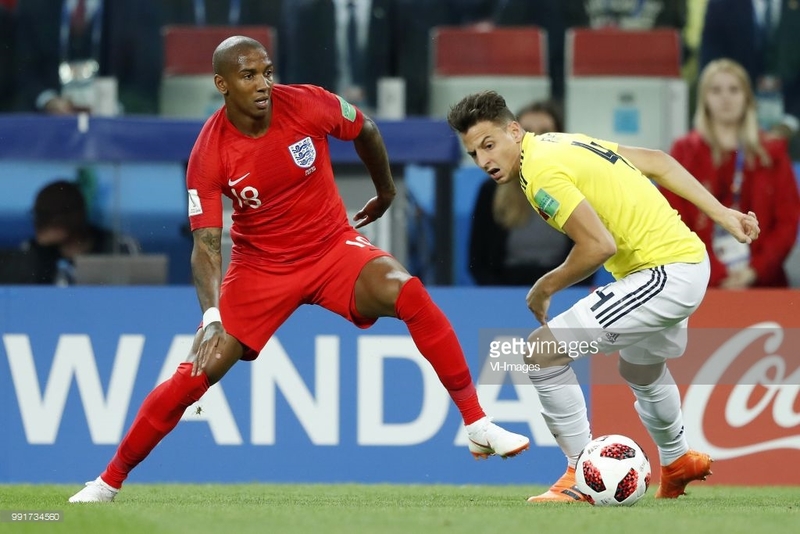 Sterling is the lone Caribbean-born player in the 2018 World Cup and played in the fiery and incident laden match against Colombia on Tuesday, July 3rd as the two sides vied for a quarter-final sport. Sterling, 23, was one of several England players subjected to roughhouse treatment from an imposing Colombia side. He was the one who pleaded with American referee Mark Geiger to book Colombia player Yiri Mina just before half time with the Barcelona centre-half appearing to prevent the Manchester City forward’s run into the penalty area by grabbing his shirt. And he was the one who Colombia assistant coach, Eduardo Urtasun, dropped his shoulder in the direction of as the players made for the tunnel after the half time whistle. Sterling, to his credit, kept his cool and continued to make his way to the tunnel. Sterling and his mother moved to London when he was five, three years after his absent father was murdered in Jamaica. He went on to attended Copland School in Wembley, North West London. Sterling began his career at Queens Park Rangers before signing for Liverpool in 2010. He represented England at under-16, under-17 and under-21 level before being capped at full level by the national team in November 2012. This is his second world cup after also playing at the 2014 FIFA World Cup. 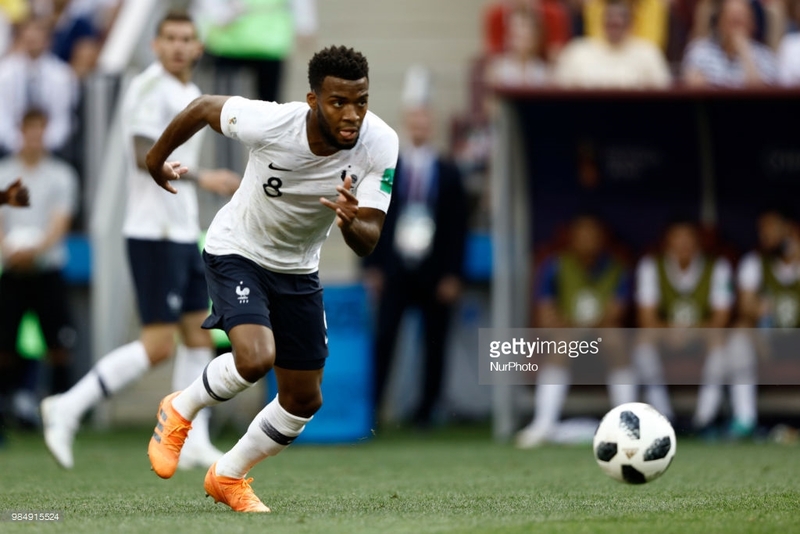 Thomas Lemar was born in Baie-Mahault, Guadeloupe and is part of the French national team who will face-off against Uruguay in the first quarter-final match at 10 a.m. EST today. The 22-year-old is known for his versatility, able to play on both wings and through the centre. He also plays for Atletico Madrid and France national team and began his senior career at Caen in 2013. He played 32 times for the club before moving to Monaco for £3.4 million in 2015. 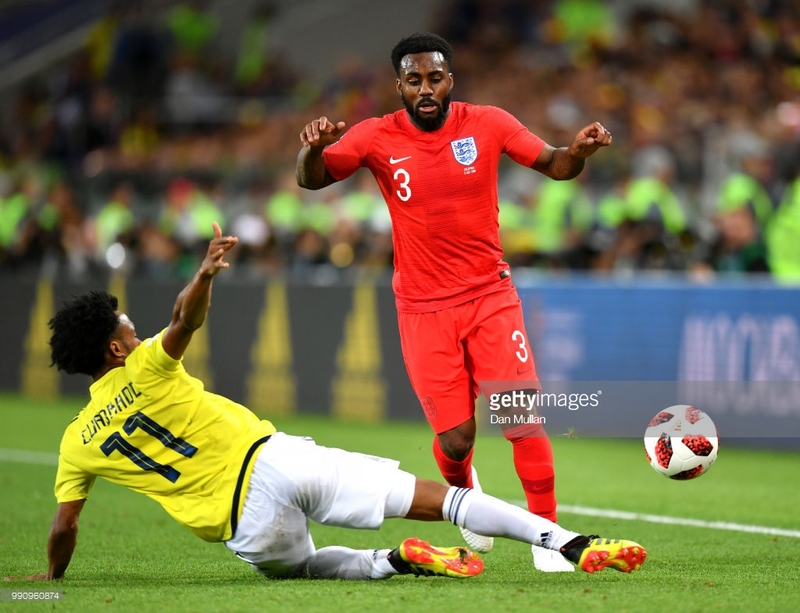 Danny Rose, 28, will represent England as they face Sweden tomorrow, July 7th, Rose’ parents were born in Jamaica but he was born in Doncaster. A product of the Leeds United academy system Rose departed for Tottenham Hotspur at aged 17 and has worked hard ever since to make the left-back spot his own at club and international level. Working his way up through the England youth teams, from U-16 to U-21 (playing 29 times for the latter), he made his senior Three Lions debut aged 25 and has since established himself as England’s first choice left-back, injury permitting. With Gareth Southgate preferring three central defenders and two wing-backs, Rose has found himself featuring with more freedom down the left flank, a deployment that comes naturally to him. Despite a lack of natural goal scoring ability, Rose is just as comfortable in attack as he is regaining possession or defending. Marcus Rashford, 20, who will represent the English side tomorrow, was born in Wythenshawe, Manchester and is of Kittitian descent. Rashford began playing football for Fletcher Moss Rangers at the age of five and joined the academy system at Manchester United at the age of seven. Rashford is the very definition of an overnight sensation. The meteoric month in 2016 that saw him shoot from Manchester United youth team player to one of England’s brightest stars would look out of place in a comic book. 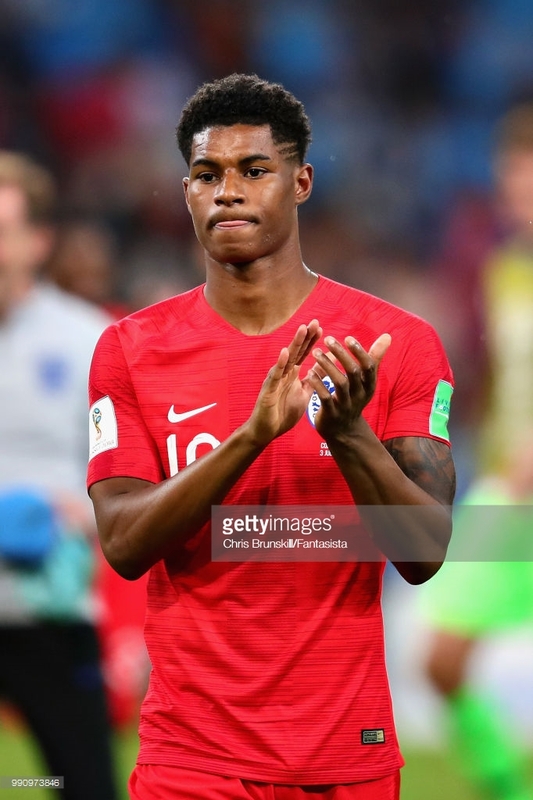 After scoring in a succession of big games for United in February and March, Rashford netted on his full England debut against Australia in May, 92 days after making his United debut. Ice-cool in the penalty area, with a deadly finish, Rashford has pace to burn and can beat opponents with ease – either with raw speed or his superb close ball control. Rashford also belies his tender years by taking responsibility over set pieces, delivering crosses or shots at goal with excellent technique. He grabbed a goal and assist against Slovakia in September 2017 to help secure three vital points on England’s road to the 2018 FIFA World Cup. 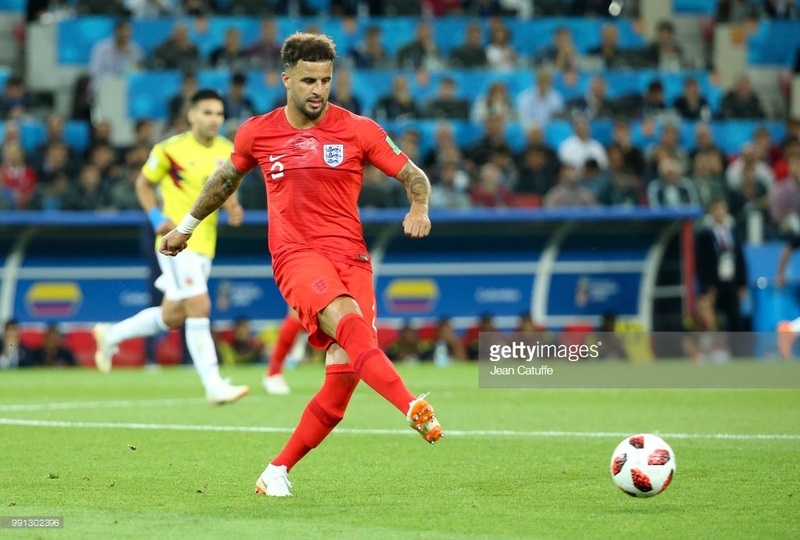 Kyle Walker, who will also rep. for England, was born to in Sheffield, South Yorkshire to an English mother and Jamaican father. He grew up on a council estate in the Sharrow area of the city and attended Porter Croft Infant & Junior School, followed by High Storrs School until 2006.. The 28-year-old is one of a number of players, whose game has evolved under the tutelage of Pep Guardiola at Manchester City. Once a marauding full-back, who has spent most of his career to date with chalk on his boots on the right wing, Walker has now found himself with a role at the Etihad Stadium since his big money move from Tottenham Hotspur in July 2017 that involves much more play infield. This new role piqued Gareth Southgate’s interest. The England manager experimented with Walker, as the right side of three central defenders in his March friendlies against the Netherlands and Italy, with the City man able to burst forwards and offer an extra presence in midfield – as he has been doing for Guardiola at City. One thing is certain, Walker is key to Southgate’s plans – either in his usual position on the right flank or tucked inside. Raphaël Xavier Varane’s roots runs to Martinique through his dad. The 25-year-old defender is also part of the French team who will take on Uruguay this morning, July 6, 2018. Varane made his professional debut for Lens aged just 17, before being snapped up by the Liga giants a single season later. Although he needed time to adapt, Varane soon proved he had the talent to succeed in the Spanish capital. On the international stage, he earned promotion from France’s U-21s to the senior squad in August 2012, when he became one of the first players called up by Didier Deschamps. Since then, he has become the fulcrum of the defence and one of the vice-captains to skipper Hugo Lloris. 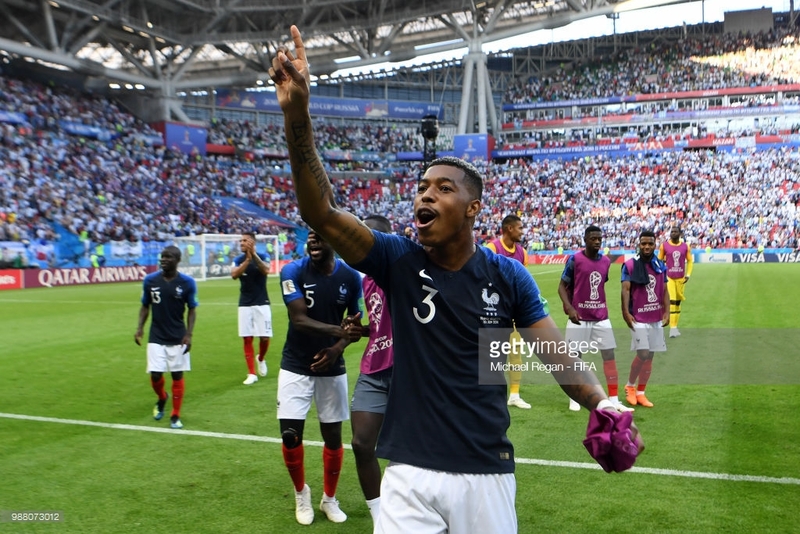 Presnel Kimpembe is also part of the French team who will take on Uruguay this morning, July 6, 2018. His roots run to Haiti through his mother. A three-time Ligue 1 champion before his 23rd birthday, Kimpembe has achieved a difficult feat – winning regular playing time in central defence for Paris Saint-Germain, despite stiff competition. He has done so thanks to a versatile array of gifts. A truly modern centre-back, he combines an understanding of the game with superior technical skills and a desire to build from the back. His elegance, passing ability and tackling acumen have naturally led him into the France set-up, where he looks set to thrive for many years to come. One of France’s brightest prospects, he will be eager to reach a new level on Russian soil. The post Caribbean In The World Cup appeared first on Caribbean and Latin America Daily News.